Announcing the addition of Spider Feet! No, these are not for the bug enthusiasts or comic book fans out there. 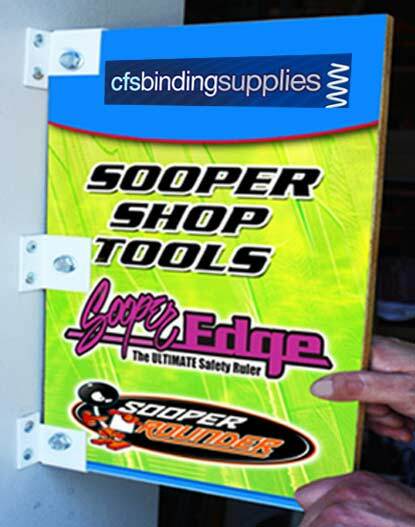 Spider Feet sign holders are durable, metal feet that vertically stand your signs printed on your choice of substrates including plastic corrugated, foamcore and Gator boards. You can use 1 for small widths or 2 for wider signs. Made from durable steel, each foot features a thick black powder coated finish and provides substantial weight to hold your signs in place. We are proud to offer these essential marketing and point of purchase display tools as well as many other banner and sign display products. Look for more to be added in the coming months. Do you have any products in mind that you’d like to see CFS offer? Please share your suggestions in the comments below. With easier access to instant digital wide format printing, printed signs and point of purchase display posters mounted to foamcore board and banners are seeing a rise in use. Options for hanging the large beasts are not so readily accessible. Brass grommets are commonly used but will usually mark the board’s surface and can tear away from banners in windy conditions and just punching a hole can turn unsightly in a few seconds. In the video below, we’ve prepared a quick overview of some new options that have many advantages over traditional grommets. For hanging foamcore boards, the Twist-n-hook Hangers are a sleek, elegant and durable option. They feature a subtle head that extends ½” beyond the top of the board with an eyelet hole to allow hanging with wire, cord or fishing line. They simply twist into the center foam of 1/4” or 3/16” foam core boards and can easily support sizes up to 24 x 48 inches. There’s a similar solution for corrugated plastic boards too: the Pick-n-hook Hangers feature barbs that are pushed through the corrugated ribs and can support fairly large pieces, best of all they’re only 11/16” high by 1/8” thick. 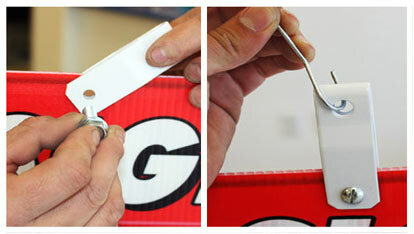 When it comes to hanging banners, nothing is quicker than BannerUp’s Adhesive Banner Hangers. These feature a super strong adhesive that is pre-applied to white or clear plastic tabs that fold over the corners of your banner. 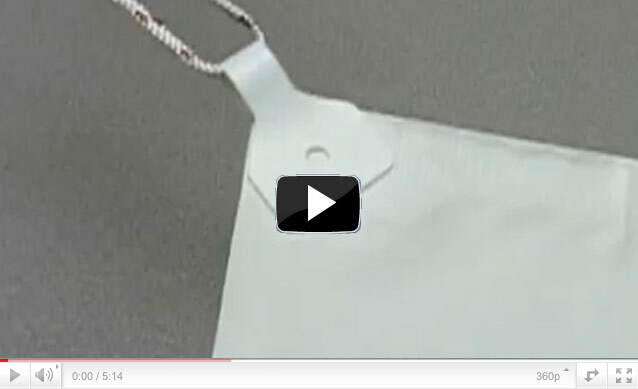 Imagine something like the reinforcement for 3-hole punched sheets, but a whole lot stronger and much more functional. Several of the banner hangers feature a loop that extends beyond the corner of the banner allowing a cord or rope to suspend it. For the ultimate in strength, the hangers have a hole in their centers – just punch it all the way through your banner and hang using those holes. 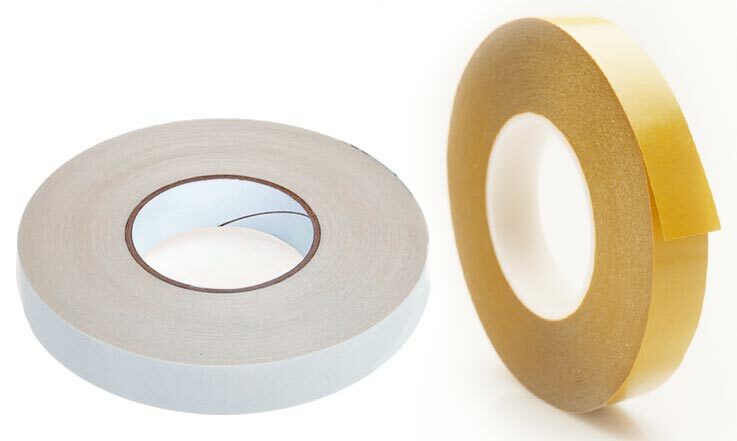 There are even 2” x 2” clear adhesive tabs with loops for additional support on longer banner edges. All of these options allow you show off your large printed pieces without covering or punching through them. We’d love to hear if you have other uses these hangers – please let us know.